Camp Fire recognizes the amazing accomplishments that youth participants achieve while they are involved in our programs. To build upon this sense of accomplishment and memory making, we offer various types of recognition for our youth participants and adult volunteers. Each program progression is accompanied with emblems that are earned by completing projects designed for that age level. Each year youth participants have 10 -19 different projects to choose from. There are typically more projects and meeting plans than can be completed in a year. This allows youth to choose to complete projects that they are interested in and gives them plenty of chances to try new things. Once a project, or pair of projects, is completed, youth participants will earn an emblem. Youth Participants can also earn All Ages Emblems. Most of the All Ages awards and emblems can be earned annually. These emblems cover a broad range of activities, but can be paired well with the Camp Fire curriculum and Program Level Emblems. Youth participants can earn additional emblems or pins for attending Day Camp or other special events. They can earn several different recognition items for participating in the candy sale. Children can also earn commemorative emblems for the Camp Fire Birthday, Council Fire and other events. Camp Fire participants can start earning beads once they reach the Adventure Level progression in the 3rd grade. Camp Fire has a long standing tradition of celebrating accomplishments with beads. Youth can display their beads by sewing them on their vests or ceremonial attire, making jewelry, or displaying the beads in a new fun way. Completing step in a National Project, such as the National Art Experience, Sales and Sense, or National Handclasp. Attend and participate in a meeting that is part of earning a trail emblem. Completing activities in the Camp Fire Bead Book. Wearing a uniform helps to create a sense of belonging and helps to create awareness of Camp Fire programs. While Camp Fire has an official uniform, individual groups may modify this to suit their individual needs. 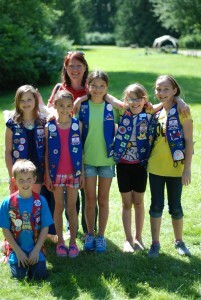 For more informal events, like group meetings or outdoor projects, youth are encouraged to wear Camp Fire colors of red, blue, yellow, or white, or a Camp Fire t-shirt. For more formal occasions, your group might wear khaki or blue pants, shorts, or skirts with a polo or turtle-neck style shirt. Whenever it is appropriate for the activity, your group should wear their level-specific uniform item. 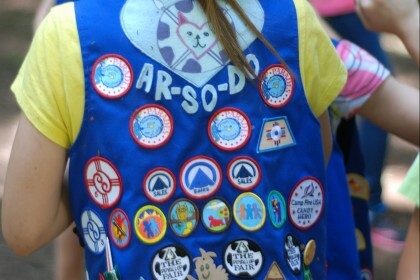 Each Camp Fire level has a unique uniform in addition to a general uniform observed by all Camp Fire members. Children in the Little Stars group are encouraged to wear Camp Fire colors or a Camp Fire t-shirt and no additional uniform is required. 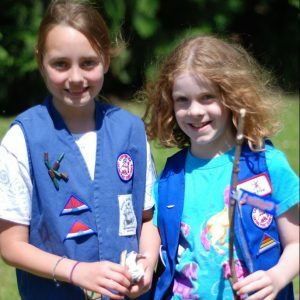 Participants of the Starflight Level may wear the red Camp Fire vest, and participants in the Adventure Level may wear the navy blue Camp Fire vest, on which they can display their earned awards. Vests for the Starflight and Adventure Levels are available for purchase through Camp Fire. 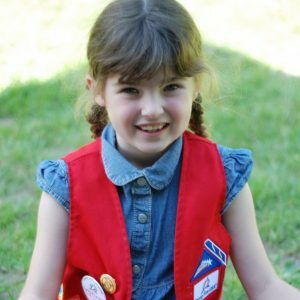 Participants in the Discovery Level and above may begin to design their own uniform or ceremonial attire. Your group should decide together what their uniform will entail. Groups have chosen to create a sash, gown, vest, purse, cloak, or an item that is significant to their cultural heritage. Ceremonial attire should reflect the individual; it can show off the teen’s personality, creativity, or cultural background. Curriculum is available to help your group choose what item they would like to create. Emblems and other awards may be placed wherever the youth participant chooses to, besides the Camp Fire National Emblem, which should be placed on the left hand side of the garment. Emblems, pins, beads, vests, curriculum, and other Camp Fire items are available for purchase through our council office. Recognition items such as emblems or beads are usually around $2, while vests are usually around $20. T-shirts and other item prices may vary. To order awards or uniforms, you must be a registered Camp Fire member. Other items may be available for purchase to the public in our online shop. 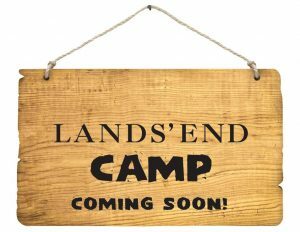 Grab Some Camp Fire Swag by Lands End! Coming soon! Choose from a selection of t-shirts, hoodies, hats and other apparel and get the Camp Fire logo added!